Continuing its apparent bid to rule the Internet, Facebook today logged in yet another key milestone. Just a little more than three months after welcoming its 200 millionth user, the social networking site announced that as of today, Facebook hosts 250 million people. The news comes on the same day that the Nielsen Co. reported that people spend more time on Facebook than any other Web site. "The 250 million of you on Facebook today are what gives Facebook life and makes the site meaningful to everyone using it, so we thank you," wrote Facebook CEO Mark Zuckerberg in a blog post. "Each person who joins makes Facebook better by adding a presence to the site that friends and family can connect with and feel closer to. For us, growing to 250 million users isn't just an impressive number; it is a mark of how many personal connections all of you have made, and how far we at Facebook have to go to extend the power of connection to the billions of people around the world." 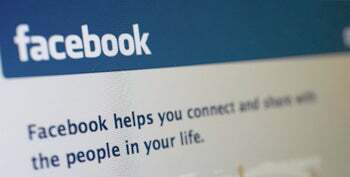 Facebook, which celebrated its fifth anniversary on Feb. 4, has stormed past rival MySpace.com, the pioneer of the social networking phenomenon, in monthly page-view counts. Facebook, once thought of as the up-and-coming social network, has dethroned Myspace in terms of both U.S. and international popularity, according to online researcher comScore Inc.
And it's becoming clear who exactly is fueling Facebook's explosive growth. A report released last week by iStrategyLabs shows that Facebook is growing in popularity by attracting many users who are far older than its traditional college audience. While the number of Facebook's U.S. high school and college-age users declined over the past six months, its popularity among the 55-and-older crowd is booming. In fact, the number of 55-and-older Facebook users showed staggering growth -- 513.7% -- in the last six months, according to iStrategyLabs. This story, "Facebook Boasts 250 Million Users" was originally published by Computerworld.